Looking for a great middle grade book? As a high school librarian, my life is dominated by YA books. While I love them, they are just as long as adult books and take and an hours long commitment. And sometimes you just need to delve into something different for a change or a break. I have found myself choosing to review more picture books and middle grade books, just because it’s fun. I also have a built in audience at home that give immediate feedback. So, I just discovered A Pig in a Wig books. They are super cute and a quick read. I was a little slowed down by having to read it 5 times by request. I would say that can be interpreted as a high recommendation from a 3 year old. A Pig in a Wig elicited giggles (probably because of the rhyme) but I had to explain what a wig was. 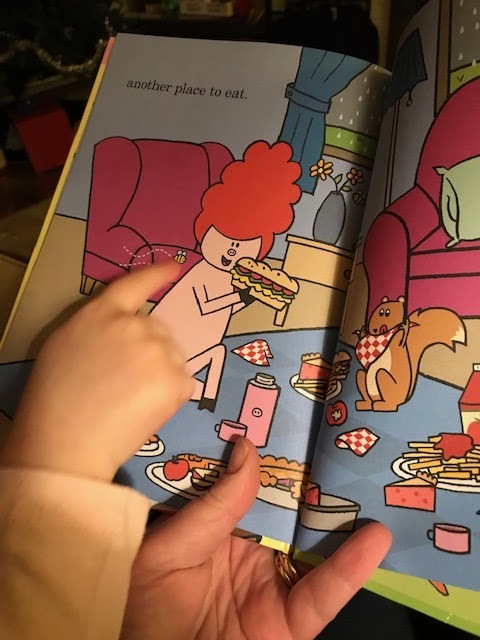 Pig was preparing for a picnic and a picnic is a 3-4 year olds favorite activity. I think some of the new vocabulary will include wig, punch, and breeze. The major attention grabber was the 2 page spread with the impending storm and the words whoosh, boom, plop, splash accompanied by looks of panic on the character’s faces. They rush to pack up their picnic, but instead of being disappointed by the rain, they just set up a picnic in the living room and continue their fun. My little reader was especially enthralled by the bees found on several of the pages. 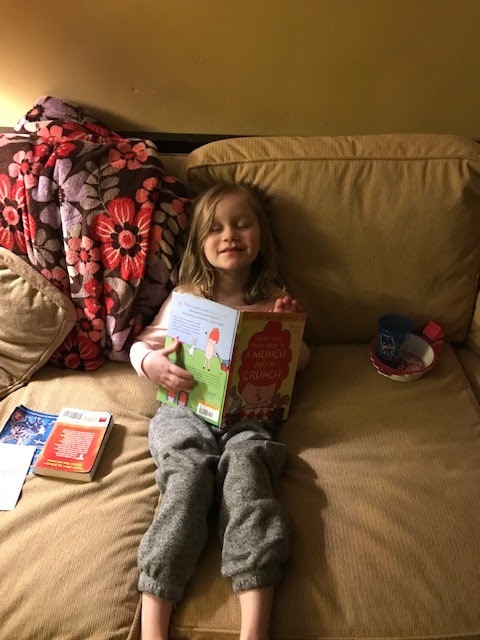 She was concerned when they followed the characters into the living room, but then decided it was ok. The illustrations are bright and fun. 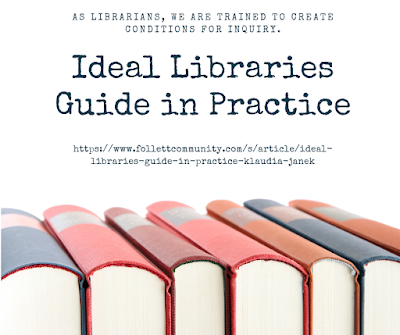 There are lots of details on the pages, but they are not cluttered so I think it’s great for emerging readers. The rhymes really grab the listeners attention and it’s something that the little ones can identify with. You might need to be prepared for an immediate picnic after reading this book. I think any preK-2 grade will enjoy this book. 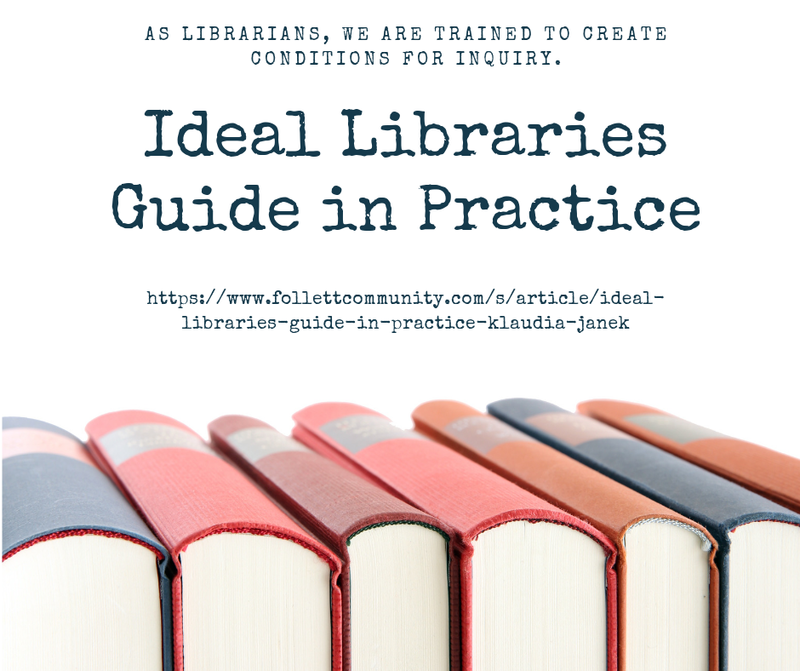 It’s a great fit for a school library, is an engaging read aloud and I see potential for a lot of literacy based activities at different stations in the library. If you happen to be an IB PYP school, Pig illustrates what it means to be a thinker and a risk-taker. This is a middle-grade urban fantasy book that is a follow up to the authors 2006 release of The Wandmaker’s Guidebook, which was an interactive book and wand-assembly kit. This is also the 1st book in a 2 book series (according to Novelist). Henry Leach is 11 years old and is the 7th son of a 7th son. He is originally from Arizona. He was born into wandmaking, but does not know much about the magic. He accidentally turns his younger sister, Brianna, into a hedgehog and has to reach out to a more powerful wandmaker to help him. He is thrown into a fight between good and evil. The villain is named Dai She and the destruction of our world is imminent. It is up to Henry and his new friends to try to save the world. The story is told in the third person from multiple points of view. There was a lot of detail about what goes into wandmaking. I do think it would appeal to fans of Harry Potter, but they need to go into it knowing that this book is a different approach. Coralis becomes Henry’s mentor. He is a grouchy old man, who is a little behind the times. He does decide to come out of seclusion in order to help defeat evil. His language will make readers laugh out loud. There is humor, magic, and adventure. It does end with a lead into the next book but can stand on its own. I would recommend this book for a school library and have it available for a free choice book. Or for a genre based assignment for fantasy picks. I think this book will go a long way in developing new vocabulary words in younger readers. There are lots of twists and enough action to entice the reader to get to the end. It will appeal to readers who love fantasy, magic, and family. 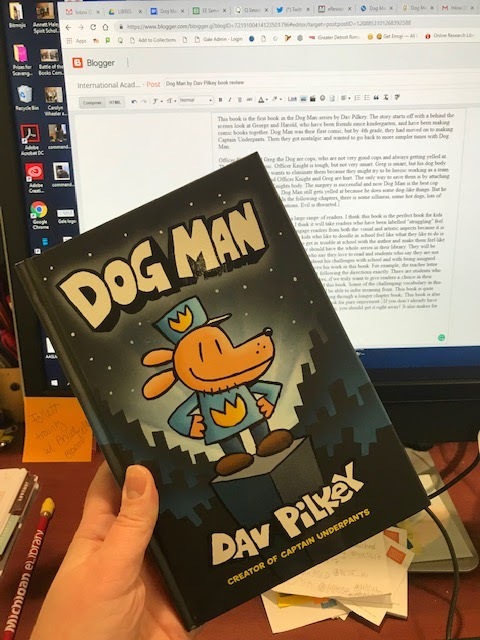 This book is the first book in the Dog Man series by Dav Pilkey. The story starts off with a behind the scenes look at George and Harold, who have been friends since kindergarten, and have been making comic books together. Dog Man was their first comic, but by 4th grade, they had moved on to making Captain Underpants. Then they got nostalgic and wanted to go back to more simpler times with Dog Man. Officer Knight and Greg the Dog are cops, who are not very good cops and always getting yelled at. They want to be heroic. Officer Knight is tough, but not very smart. Greg is smart, but his dog body holds him back. Petey wants to eliminate them because they might try to be heroic working as a team. Petey makes a bomb and Officer Knight and Greg are hurt. The only way to save them is by attaching Greg’s head to Officer Knights body. The surgery is successful and now Dog Man is the best cop ever. As the story goes on, Dog Man still gets yelled at because he does some dog-like things. But he is determined to be a hero. In the following chapters, there is some silliness, some hot dogs, lots of slobber and lots of good intentions. Evil is thwarted. I think this book will appeal to a large range of readers. I think this book is the perfect book for kids who say they do not like to read. I think it will take readers who have been labelled "struggling" feel like they can read a book. It will engage readers from both the visual and artistic aspects because it is a graphic novel. I think it will make kids who like to doodle in school feel like what they like to do is valuable. It will connect students who get in trouble at school with the author and make them feel like they are not alone. Every school library should have the whole series in their library. 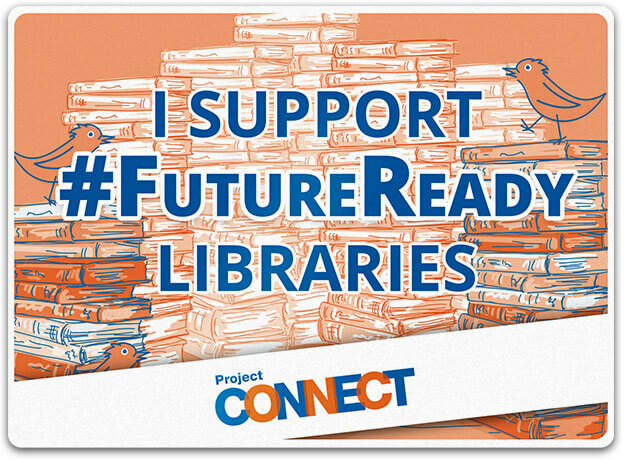 They will be widely circulated between the students who say they love to read and students who say they are not readers. 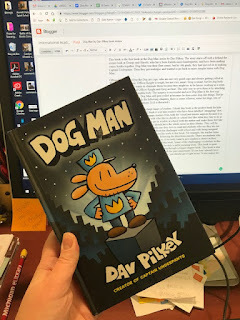 Having heard Dav Pilkey speak about his challenges with school and with being assigned various labels, I can see where that influences his work in this book. For example, the teacher letter getting Harold and George in trouble for not following the directions exactly. There are students who need to connect with these stories. As educators, if we truly want to give readers a choice in their reading material, we will allow students to read this book. Some of the challenging vocabulary in this book is accompanied by visuals that readers will be able to infer meaning from. This book is quite lengthy, so readers will feel accomplished by getting through a longer chapter book. This book is also just fun. There is nothing wrong with reading a book for pure enjoyment. If you don’t already have this book in your elementary or middle school library, you should get it right away! It also makes for a good gift. What a great middle grade book! The author has more recently written a Black Panther graphic novel so you might not even realize you already have his work in your library. The Mesmerist is set in Victorian England. It contains secret societies, faerie magic, a sinister evil creature and the power of family and friendships. Jessamine and her mother run a business for themselves communicating with the dead. It is mostly a ruse, until Jessamine discovers that she really does have some supernatural powers. She unknowingly writes out “ashes, ashes, we all fall down” and her mother freaks out. Most readers will be familiar with this song and will find that it appears throughout the book. Jessamine soon finds that her power is getting stronger and she has to decide with path her future will take. Jessamine’s mother takes her to a family friend named Balthazar, where Jessamine will stay. As the adventure unfolds, readers will get to know a faerie, werewolf, Mephisto and an angel. This complex story is told in such a way that middle grade readers will be introduced and understand this tale of good and evil. The Victorian London underground will come to life through detailed descriptions and dialogue that is not too over the top for younger readers. The story is engaging and suspenseful. The cover art is attractive and will want to make you read the book right away. There are a few grisly scenes about the plague, but consistent with the time period and a some supernatural deaths. It is appropriate for a school library. I really loved this book. There were some familiar characters like Balthazar, Mephisto and Malachai that I knew right away as an experienced reader and science fiction fan, but it may be the first introduction for younger readers. The author explored the theme of good and evil in such a way that it will not be overwhelming for the intended audience. I was impressed and how good of a job he did. I should have seen a couple of things coming, but I didn’t! It made the story that much better. There must have been a lot of research that when into this story. Get this book for your school library and push it. Your readers will thank you. Oh, and the vocabulary - when a 4th grader busts out the word “malevolent” you’ll know it is from this book. Follow Sarah Clancy's board Makers' Space on Pinterest.